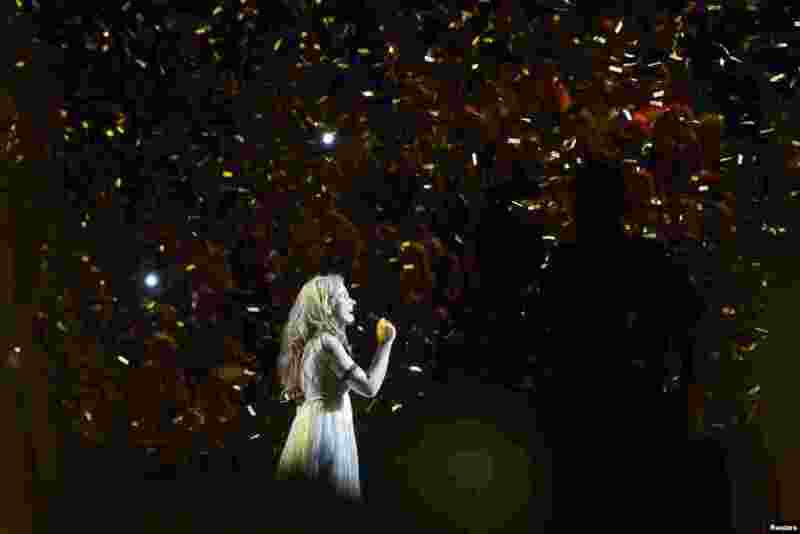 1 Denmark's Emmelie De Forest, winner of the 2013 Eurovision Song Contest, sings "Only Teardrops" at the finals of the contest held at the Malmo Opera Hall in Malmo, Sweden, May 18, 2013. 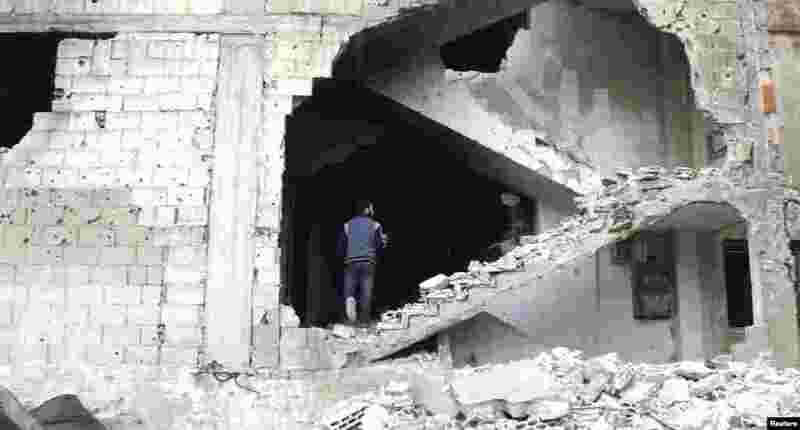 2 A man is seen on a damaged staircase in Homs, Syria. 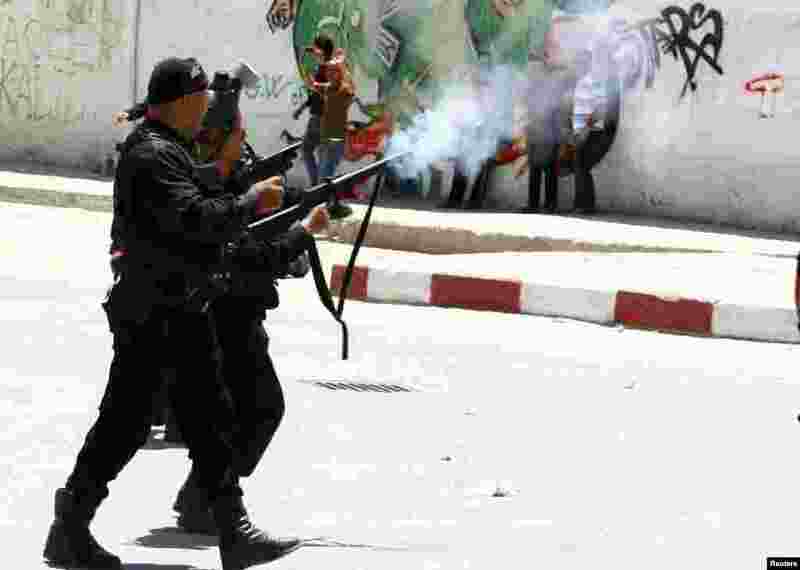 3 Police officers fire tear gas to break up a protest in the city of Kairouan, Tunisia. Supporters of the hardline Islamist group Ansar al-Sharia clashed with police after the government banned its annual rally, saying it posed a threat to society. 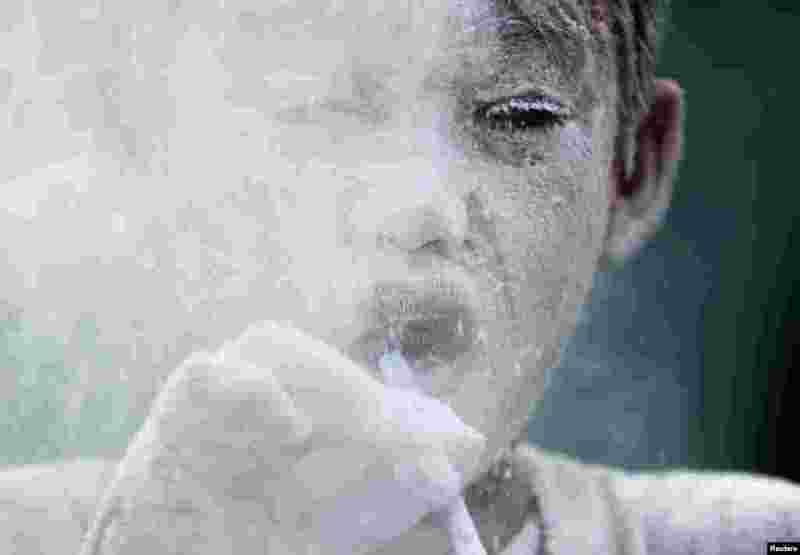 4 A boy uses a straw to blow flour inside a plastic cup while participating in a game during a town fiesta in celebration of patron Saint Santa Rita de Cascia in Baclaran, Paranaque, south of Manila, Philippines.